Usual Price: £104 for 8 classes. 10% discount for members of Crystal Palace Mums Facebook group. So - this course consists of ten classes (one per week) but you pay only for eight. It means when life throws you a curve-ball, you haven’t wasted money on classes you can’t get to. Plus, as an awesome Crystal Palace Mum/Dad/Caregiver, you get an extra 10% discount. Whoop! Yeah! I wanna be happier and healthier! Book me in, baby! In every class you’ll get a gorgeous all-round vinyasa flow to get you moving, breathing and feeling awesome. But I want to give you more; each term I want you to feel like you’ve learnt something from me. And I mean more than just how to do a sun salutation. Every term has theme. It may be something about your body; it may be working on a specific family of poses (like balancing ones); other times it may be a theme that will help you off the mat too (like resilience). Look! We're smiling! We *must* be having fun! 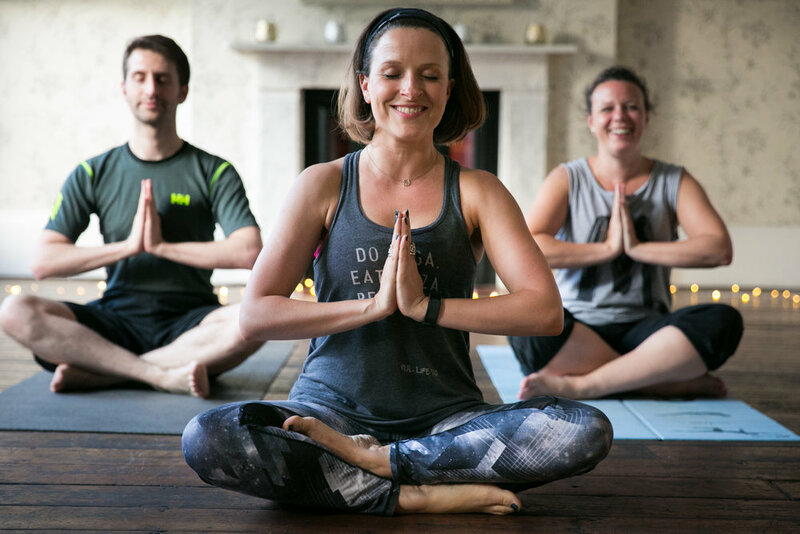 Over this ten-week term you’ll get a feel-good flowing practice, which will get your whole body feeling awesome, with an extra ‘kick’. Why? Because we'll be putting a little extra focus on our fabulous feet. Whether you think yours are pretty or not, they’re toe-tally terrific (sorry) and we’re going to find out why. They’re what give us our foundations in this world and we’ll see that as we move our attention on up through knees and hips, connecting to them is literally our most important first step (whether we’re off the yoga mat or on it). It doesn’t matter whether you’ve learnt with me before; you can join the gang at any time. All my classes are mixed ability, unless otherwise stated. Details are below. For more information don’t hesitate to give me a ring on 07747 481688 or email Meg. Investment? 8 hour-long lessons for just £93.60. Yeah there’s a bit of small print. But I like to keep things fair and transparent so before booking please click here to read all my terms and conditions. I wanna be happier and healthier. take me to the booking page!